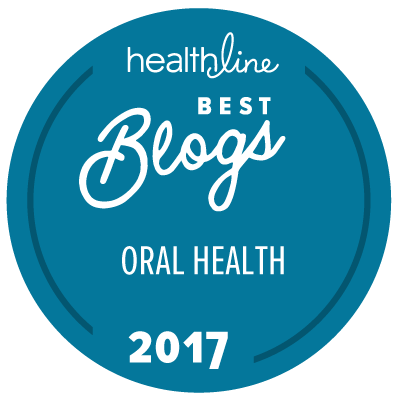 We are honored that we were recently asked to contribute to an expert roundup on the subject of whether electric brushes or manual brushes are the better options for one’s oral health. Like so much ‘news’ in these days which take the form of quick tidbits of information, we often find that such blog posts, while helpful, can often leave much information out of the story in order to appeal to the ‘Can I read it in less than 5 minutes’ internet mentality. Like many ‘one size fits all’ musings, this question ‘which is better, electric or manual brushes?’ leaves much out of the discussion. So let’s blow this question out and give it the attention it deserves. If a person is looking to clean their teeth to lower the plaque (biofilm) which is implicated with tooth decay, what is the best method to accomplish this? For this application, is electric brushing or manual brushing more helpful? If electric, which brands/style of brush perform best? If manual, which brands/style/brushing technique perform best? And why? Where is the research that shows this benefit? What do clinicians report when it comes to electric or manual brushing and their relative benefits of reducing plaque? Given the plaque these clinicians find, did they take into consideration the foundational influence of what foods the patients consume on a regular basis and the relative plaque the clinicians find in the mouths of these patients? I’m sure each of us can add several related questions to this list pretty easily. How you brush is more important than what you brush with. How much conscious attention are you applying when brushing? In other words, while what you brush your teeth with is an important question, we consider how you brush a focus which will reap more benefit for you when looking to navigate to greater oral health than choosing this brush over that one. We feel that our attention is the most precious resource we have. When we choose to give our attention to one task, this is the best way for us to get the most out of that activity we have undertaken. When applying our attention to creating positive change in our oral health, if we understand how each tool can best help us and apply conscious awareness to the task at hand, we can make the most progress to greater oral health by helping reduce plaque accumulation while stimulating gum tissue. However, if we go about the twice daily habit with the same unconscious, uninvestigated vigor we did as 4-year-olds when we first learned how to brush our teeth, we will end up with reduced enamel on our teeth and receding gums like the rest of our culture. (Brushing the gum tissue unconsciously is a common contributing cause of gum recession.) You can read more about our take on how to brush to reduce gum disease here. Therefore, the #1 step in this process is to bring more conscious attention to this daily habit. The goal here is to reestablish a habit of being conscious while brushing in place of the old habit of taking a mental vacation while scrubbing away. Here’s an exercise that anyone who wants to bring more attention to their oral hygiene can do. It’s simple really. Have a date with your mouth! 🙂 What we mean is actually sit down somewhere comfortable and explore cleaning your teeth gently without a timer. After all, whoever said 2 minutes was the golden rule for brushing your teeth anyway? To get to know your mouth like this, just set aside 5 minutes and gently brush your teeth until you can sweep your tongue over all the surfaces of your teeth and find no plaque. It may take you a few times stopping, feeling around, then going back in to get to that place where you feel zero plaque. Remember, bring conscious awareness to the task. We aren’t scrubbing away to get it done as quickly as we can (as much of the time this brings trouble years later in the form of receding gums). We are taking our time, brushing a little, feeling for more plaque, brushing more where it needs it. If you try this, we suggest you do so with no paste, just a moistened brush to keep ‘the date’ clean. If you really want to take your oral health to the next level, here is what we consider the first step to dental self-empowerment! Warning! This exercise is not for the faint of heart! 🙂 Click through only if you want massive positive change in your oral health. So, the next time you are brushing, notice how you are doing it. Are you gently yet thoroughly cleaning your teeth or are you mindlessly scrubbing away? In our next blog post (already written BTW, just want you to contemplate this one first 🙂 ) we will turn our attention to investigating different toothbrushes and their relative strengths and weaknesses to help us navigate the path to greater oral health. Keep shining your Light! Show the world your SMILE! As a Pediatric and Geriatric practicing dentist I agree that it is more important to focus on how you brush rather than the kind of brush used. The intent isto stimulate circulation in the gum tissues all around teeth – on the inside as well as the outside tissues. I recommend having two different brushes – a manual to give your gums a good massage at night before bed and a sonic in the morning ( or when we focus less). It is vital to understand how infected brushes become – after ONE use – from our mouth, from particulate splatter from others brushing nearby, and from toilet plume. I recommend storing brushes in a sunny window or in the kitchen. They need to be disinfected daily. Thank you for stopping by and adding your professional input here Dr Ellie! We completely agree about ‘sunning’ your toothbrush on a sunny window sill to disinfect it! how do you suggest disinfecting the toothbrush? can i use a cup of water with some grapefruit seed extract? Great question! Disinfecting a toothbrush can be accomplished in many ways. First, let’s quickly explore what we are disinfecting from, ok? We are looking to lower the risk of anaerobic bacteria (low oxygen loving microbes) from thriving in the brush between brushings. Given this, what we want to use are strategies that will lower this risk. If you are going to soak your brush head in a solution, then to maximize the antimicrobial impact, making the strongest solution you can would be wise. For example, use only enough water in a cup to cover the brush head, then add, using your example, grapefruit seed extract. To answer your question directly, yes, grapefruit seed extract is a fine choice. You could also use a salt water solution, hydrogen peroxide solution, other essential oils. There are many options. Another couple solutions we are very fond of is allowing your brush to fully dry out between brushings. You can do this simply by having more than one brush that you use and rotate them so each time you pick up the brush, it’s really, really dry already. In order to disinfect my toothbrush, I use my mouthwash that has 0.05% chlorhexidine. I use that mouthwash but I have to dilute it with water because the taste is too strong for me. Instead to disinfect my toothbrush I use it pure (just 3 or 4 minutes inside that liquid and the toothbrush is cleaned). Regarding your disclaimer. I thrilled that you aren’t dentists! Over the last couple decades my husband and I have completely lost faith in our medical/dental fields. I could write a blog on why! It is all of you ‘regular’ people that are exploring and sharing natural ways with all of us, and pulling many away from the harmful, man made ingredients found in so many products and medications of today that I trust! Thanks again for stopping by to add your support! Sounds like you’re from Hawaii. If you are, what’s the name of your (holistic) dentist? Always good to get second opinions. And, thanks for all your “unconventional” wisdom! I use a manual toothbrush because it requires no moving parts, batteries, and electronics, making it more dependable, sustainable, simpler, smaller, and cheaper (given everything else is equal, of course). I would only use an electric toothbrush if I physically could not move the brush back and forth. I agree with your point here. If a person has a motor skills challenge like MS, then an electric brush would be crucial it seems to me. Thanks for adding your input here! I use an OraWellness toothbrush in the morning (after oil-pulling/swishing with coconut oil for 20 min.). I do not floss in the AM. In the evening I brush with an Oral B electric toothbrush and floss. I usually also use a Water-Pik in the PM. I do wonder about the brush I use with the electric. It has hard little yellow plastic things as well as brushes. Supposedly it gets the plaque under the gumline, but sometimes I wonder if it isn’t a bit harsh. No cavities this last year and I am 63. Oh, in the AM I brush the way OraWellness teaches in their video (5 seconds and move on..). Update: 6 months later. It seems I now have cavities at the gum line starting to form. Quite upsetting, but I think its because I have a dry mouth while sleeping. Not necessarily because my mouth is open either. I guess its something that happens as we age. The absence of saliva while sleeping is probably the problem. I have been using Xylitol Mints in my mouth at night to prevent this problem. I think it is helping, but my visit tomorrow with the dentist should tell me (been using them for 3 months). The ingredients of the mints are simple with no articial colors or flavors, just xylitol. It does contain magnesium stearate which I do wonder about a bit. Hey Suzanne! You may have come across this by now but vitamin K2 in the form of MK-7 (like from natto extract) is a great bone and tooth building nutrient. Of course, you need adequate vitamin D intake from supplements, food, and/or sun. Also, the minerals calcium and magnesium. I think the Bass toothbrush is the best brush I’ve ever used. I can get the bristles down below the gum lines and does a much better job at getting stuff from between my teeth. I think the Sonicare I had was too harsh and like my sister believe it may have contributed to breaking a crown with all the vibration. The Healthy Mouth blend on my floss and as a rinse has done wonders for my gum health. I brush with Earthpaste and coconut oil for oil pulling. Coconut oil pulls toxins and also soothes irritated gums. Spit the oil out, you do not want to swallow toxins etc. Orawellness instructional videos are extremely helpful. When I checked my electric brush for EMFs The needle went to maximum. Wow! Great point! I hadn’t even considered this aspect of the negatives to electric brushes! Thanks for adding your input here!!! Excellent article. I’m so glad that you are spreading the word. I have been told by my QRA [quantitative reflex analysis] practitioner that to get rid of the biofilm on my teeth I need to take HCl. I have been under QRA [mud packing] and cold laser care for 9 months slowly improving…getting rid of biofilms hidden within the body tissues, but I still have film on teeth. Just wondering what your take is on this. Thanks for replying here. At the risk of sounding ‘salesy’, our healthy mouth blend does an excellent job at lowering the incident of biofilms in the mouth. The scientific literature calls this ‘adhesion inhibition’. In other words, using certain essential oils (that we have in our blend of course) lowers the ability of bad bugs to attach (apply biofilm) to teeth and gum tissue. I’m going to give this a try. I would also like to hear about the bass brush for a sonicare toothbrush. The one thing I have tried for “bad bugs” in my mouth is oil pulling which you can find info about online. That has made a huge difference in my dental checkups. Also, I have a prolapsed mitral valve and used to have to take antibiotics before and after each dental cleaning. Thank god that is a thing of the past, but the reality is that everyone should be oil pulling as the “bad bugs” do get into your blood stream not only when your teeth are cleaned but also when you floss and brush. to use electric or manual. receding gums and also some root exposure on one of the teeth. Is electric or manual better for this? Enjoyed your Electric vs Manual Brushing information. After this article I never take another mental vacation while brushing. Oral health is vital to our body. The Bass Brush is superior. It cleans teeth and stimulates gums without harming them. Since using OraWellness and the Bass Brush my gum pockets have reduced to the healthy range. Oil pulling is a great idea and can be done more than once a day if you have a health challenge. Thank you for the education you provide about oral health. Looking forward to the second session. Thanks for stopping by Carole! We appreciate the kind words of support. Congratulations on the reduction of your gum pockets!! Your story is so important for others to hear! I highly doubt 20 minutes of oil pulling (as recommended by Gwyneth Paltrow) is better than 2 minutes of brushing with electric toothbrush, using a toothpaste designed specifically to remove plaque and bacteria + flossing for 1 minute with a water flosser. Thanks for stopping by and adding your perspective to the subject. For clarity, there has been significant clinical proof on the efficiency of oil pulling. Many clinical trials have been performed to show the many benefits of oil pulling. That said, I agree with you that it’s not one or the other. All types of oral hygiene serve their purpose. Will and Susan, Thanks so much for your opinion! It was a pleasure to feature your voice in our expert roundup. – I brush for the full 2 minutes every single time. – I brush every quadrant of my mouth. I didn’t brush for the recommended amount of time with my manual toothbrush, and I basically brushed randomly without reaching every angle of my mouth. I’m very satisfied with my powered toothbrush and i think it’s worth giving it a try! There are models priced under $40, which are effective and affordable. well, thanks for not addressing the question at all. Not that its not useful information, but kinda misleading dont’ you think? Especially after all the hullaballoo about your answer being too thorough to spell out in less than 50 words. Maybe you should have tried. Good thing we all don’t have to want the same thing, right Ken? We aspire to help others navigate to greater oral health. I’ve learned that if I don’t have something helpful to say, then perhaps not say anything at all. Thanks for this post. My husband and I are using your Healthy Mouth Blend with the Bass toothbrush. We both still use our electric toothbrushes too. A hard habit to give up! My husband “scrubs” his teeth hard which is evident by the flayed bristles in his brush. So this post may help convince him it’s worth it to try to break that habit. Could you please comment on a mouth wash called “Biotene”? I have severe dry mouth and this mouth wash helps a lot. Biotene has two types of Oral Rinse: a Regular one and one with PBF which purports to loosen Plaque-BioFilm. Thanks for all your posts and educational videos. They are all very helpful as we try to navigate the road to better oral health. Great Blog post! Very helpful tips. I guess i am the 2 minutes brush guy as well. I will try to give it a bit more time. My teeth will certainly benefit from it. I hear you. We all tend to start thinking that 2 minutes is the golden rule for brushing. Thanks for this excellent article! I am using an Oral-B electric toothbrush and I must say it’s really easy to use and I definitely think that my brushing habits improved since I’ve started to use it. I prefer manual toothbrush than the electrical one. I’ve never tried electric toothbrush before and that’s maybe because I get used to the manual and that I was able to manipulate it by myself. Thank’s Will for your wonderful article. I prefer electric toothbrush rather than manual toothbrush. The reason behind it are; electric toothbrush can make far more movement than we can make through manual one, the two minute timer is extraordinary edition, in some cases electric toothbrush cake remove 7 times more plaque than manual one, they got variety of modes for sensitive oral, Gum care is one of the unique feature that we can’t get from manual toothbrush. Electric toothbrush comes up with a variety of choice for the kids which make them interested in brushing. From the ancient time manual toothbrushes are taking care of our tooth. But the thing is the way an electric toothbrush can give perfection of our oral system a manual toothbrush can’t. ıt depends on your brushing techniques and how often you brush your teeth. if you brush your teeth regularly , ı recommend electric toothbrush.because it has more powerful technigues than manual brushing. Thanks to Will for your wonderful article. I prefer the electric toothbrush instead of the manual toothbrush. The reason behind this is; the electric toothbrush can do much more movement than the manual 1, the two minute timer is an extraordinary edition, in some cases, the electric toothbrush cake eliminates 7 times more plate than the manual, has a variety of modes for sensitive oral. One of the unique features that we can not get from the manual toothbrush. The electric toothbrush offers a variety of options for children that make them interested in brushing. Since ancient times, manual toothbrushes are taking care of our teeth. But the thing is the way in which an electric toothbrush can give a manual toothbrush to the perfection of our oral system.